Nevada Title and Payday Loans, Inc. is here to help provide you with the emergency cash you need. The process of getting a title loan, payday loan or a signature installment loan is quick, easy and convenient! After filling out our short online request form, you can expect a quick call back from a store representative who will help you begin the process. You may also choose to contact one of our stores directly during business hours. On your phone call with our representative, they'll make sure that you have the necessary requirements, and confirm the information you have provided. To get a title loan you will need to own your vehicle, the lien-free title for that vehicle and a government-issued photo ID. To get a payday loan you will need a blank check from an active checking account in your name, a government-issued photo ID and your most recent paystub. To get a signature installment loan be sure to bring a checking account statement, your photo ID and your proof of income. For Title Loans: Just drive your vehicle with the required items to one of our locations and a loan representative will get you started with the necessary paperwork. You can simply fill out the forms while a manager performs a quick inspection of your vehicle to establish the top cash amount you qualify for. Once this is complete, you can get anywhere up to $15,000 in cash and leave with your car. For Payday Loans: Upon arrival at our store location, a representative will have a quick look at your required items and determine the maximum amount of payday loan cash you qualify for. After that, they will help you complete the rest of the application process. In as little as 30 minutes, you may be able to receive funds up to $500. For Signature Installment Loans: a representative will have a quick look at your required items and determine the maximum amount of signature installment loan cash you qualify for. After that, they will help you complete the rest of the approval process. In as little as 30 minutes, you could receive up to $1,250. 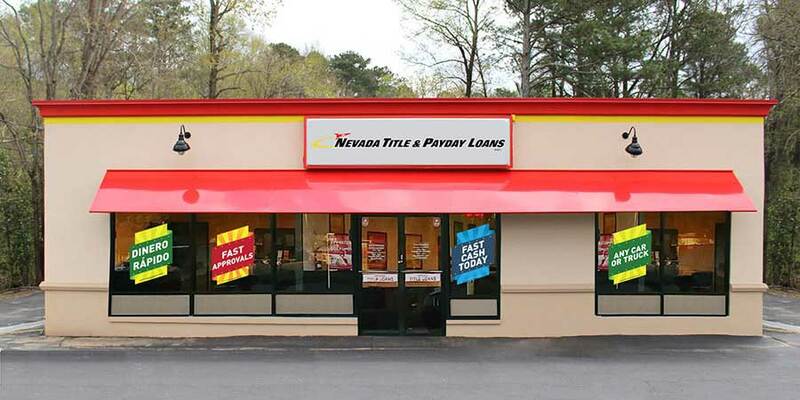 In no time at all, Nevada Title and Payday Loans, Inc. will help you complete the title loan, payday loan or signature installment loan process and put the cash you need in your pocket, making unexpected financial challenges so much easier to deal with. Get started now with our easy online request form!